Talk about the bar from hell — in the midst of Iraq’s Green Zone during the worst of the war, everyone’s favorite “security contractor” (nee Blackwater, nee Xe, now Academi) allowed its employees to frequent a speakeasy and soil the airspace with cover songs. Osama bin Laden — D.O.A. Yeah, I know I haven’t posted in a long time, but this news is big. Congrats to our leadership and armed forces. I hate to celebrate the death of anyone, but this one was long overdue. Many thanks and congratulations to Andrew Sullivan for reaching ten years blogging at his Daily Dish. It’s simply one of the best, and most honest, political (and, of course, more) blogs out there. He wears his heart on his sleeve most of the time and every once in a while can make a fairly harsh snap judgement on any number of topics, but one thing Sullivan has always done is remain intellectually curious and open. As he himself has put it more than once, you can watch him change his mindset on topics in real-time over weeks and months of blog posts. The Daily Dish has long been a daily read for me, and I doubt that changes anytime soon. I know I’m over half a week late on this (and yes, I’m aware I haven’t blogged well over a week — been crazy around these parts of late), but since I covered the topic earlier this month I thought it was interesting it’s already hit the front pages. Sharply raising the stakes in a dispute over Japan’s detention of a Chinese fishing trawler captain, the Chinese government has blocked exports to Japan of a crucial category of minerals used in products like hybrid cars, wind turbines and guided missiles. Chinese customs officials are halting shipments to Japan of so-called rare earth elements, preventing them from being loading aboard ships at Chinese ports, industry officials said on Thursday. Good news on the tax front. This at least hints the GOP isn’t willing to blow up tax cuts for a very huge majority of taxpayers just to side with the top two percent (or thereabouts) of households. The top Republican in the House of Representatives offered a hint of compromise on the divisive issue of taxes on Sunday, saying he would support extending tax cuts for the middle class even if cuts for the wealthy are allowed to expire. Representative John Boehner said President Barack Obama’s proposal to renew lower tax rates for families making less than $250,000 but let the lower rates for wealthier Americans expire was “bad policy” — but he will support it if he must. “If the only option I have is to vote for some of those tax reductions, I’ll vote for it,” Boehner said on CBS’s “Face the Nation” program. Something to keep much closer tabs on, particularly if you are knowingly skirting the heretofore unaudited rules. After years of haphazard enforcement, the Internal Revenue Service is starting to systematically search out violations of the convoluted rules governing individual retirement accounts. There’s a lot at stake. Americans hold $4.3 trillion in IRAs, and the cost of even innocent mistakes can be steep; if you miss taking a required payout from your IRA, Uncle Sam will demand half of the amount you forgot to take as a penalty. The IRS was prodded to act by the Treasury Inspector General for Tax Administration. In a report earlier this year it concluded that IRA violations have been growing and estimated that more than half a million taxpayers either missed required payouts or contributed more than allowed to IRAs during 2006 and 2007. “No one was auditing this stuff. Now the IRS is cracking down,” says Seymour Goldberg, a Woodbury, N.Y. lawyer who serves on a committee of tax pros who meet with the IRS on pension issues. Here are some IRS targets and ways to keep your retirement stash out of its sights. Via KurzweilAI.net — I blogged about today’s webinar last week, and here’s a summary of the student projects from this year’s Singularity University. Former astronaut Dan Barry, M.D., PhD, faculty head of Singularity University, will join Singularity University co-founders Dr. Ray Kurzweil and Dr. Peter H. Diamandis on Monday, September 13, at 9:30am PT/12:30pm ET, in a live video webinar briefing to unveil this summer’s Graduate Studies Program student projects. The projects aim to impact a billion people within ten years. A Q&A session will follow the briefing. The briefing is free and is open to media and the public — visit http://briefing.singularityu.org/ to register. Here are some of the team projects to be profiled in the webinar. The space project teams have developed imaginative new solutions for space and spinoffs for Earth. The AISynBio project team is working with leading NASA scientists to design bioengineered organisms that can use available resources to mitigate harsh living environments (such as lack of air, water, food, energy, atmosphere, and gravity) – on an asteroid, for example, and also on Earth . The SpaceBio Labs team plans to develop methods for doing low-cost biological research in space, such as 3D tissue engineering and protein crystallization. The Made in Space team plans to bring 3D printing to space to make space exploration cheaper, more reliable, and fail-safe (“send the bits, not the atoms”). For example, they hope to replace some of the $1 billion worth of spare parts and tools that are on the International Space Station. The Cheap Access to Space team is working with NASA Ames and CalTech engineers and scientists on a radical space propulsion system using beamed microwave energy to dramatically reduce the cost of a space launch by a factor of ten. Back on Earth, a number of teams are working on solving global problems of waste, energy, hunger, and water. The three Upcycle teams have developed synergistic solutions to eliminate waste and reduce energy use. The Fre3dom team is planning to bring 3D printing to the developing world to allow local communities to make their own much-needed spare parts using bioplastics. The BioMine team is developing environmentally regenerative, safe, efficient and scalable biological methods for the extraction of metals from electronic waste. This is a multidisciplinary team with technical expertise ranging from synthetic biology and chemical engineering to computer science and biotech IP, and they are leveraging exponential advances in bioengineering, functional genomics, bioinformatics and computational modeling. 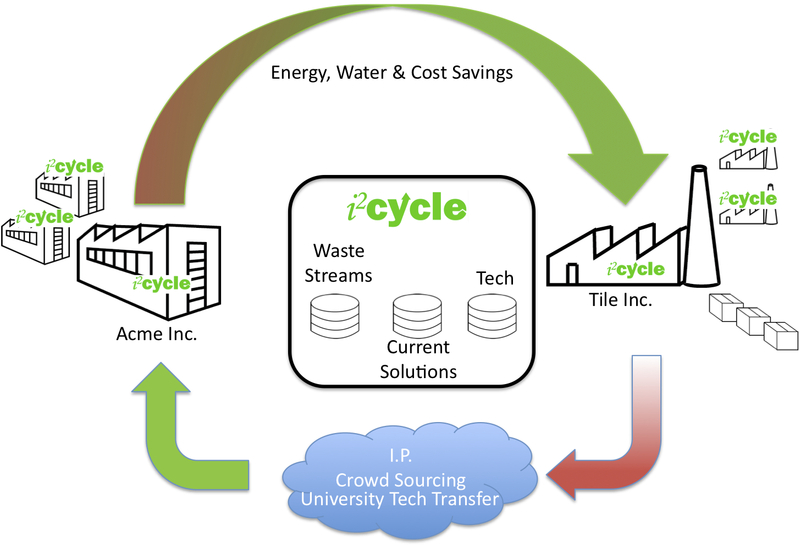 The i2cycle team focuses on developing global industrial ecosystems by upcycling one manufacturer’s waste (such as glass and ceramics) into raw material for another manufacturer (such as manufacturing tiles), conserving resources and energy in the process. The AmundA team is developing a Web-based tool that offers data such as electricity demand and energy resources to guide suppliers in finding optimum, lower-cost, energy generation solutions. They hope to help 1.5 billion potential customers in the developing world gain access to electricity. The H2020 team is building an intelligent, web-based platform to provide information on water to people. For example, they will use smart phones to crowd-source data about water problems, such as pollution or shortages, in communities at the “bottom of the pyramid,” and will use AI to match problems with solutions. 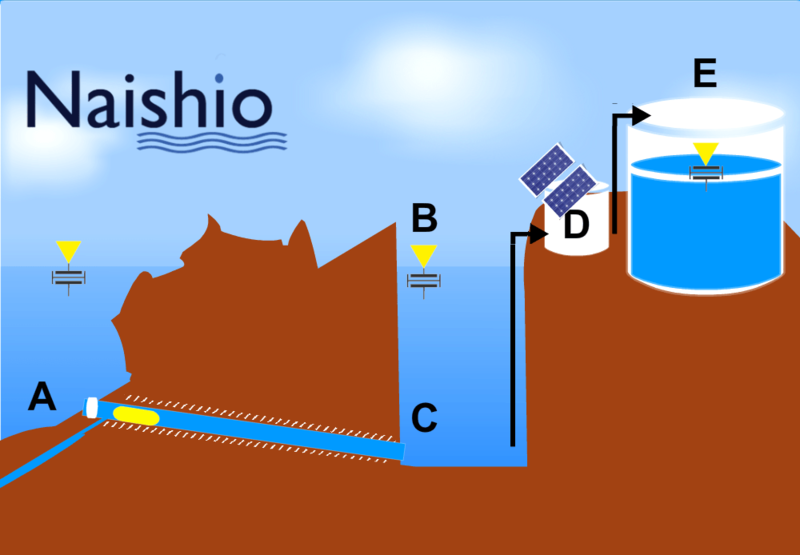 The Naishio (“no salt” in Japanese) team, inspired by lecturers such as Dean Kamen, plans to use nanofilters to achieve very low cost and compact, but high-volume desalination. They have a designed a filtration cube measuring just 6.5 inches per side that could produce 100,000 gallons of purified water per day. The Food for Cities program is planning to grow all the vegetables you need in a box barely larger than your refrigerator, using “aeroponics,” which could feed a billion people healthy food at low cost. And the Know (Knowledge, Opportunity, Network for Women) team seeks to empower young women across the world by providing them with mentors and resources. Full disclosure: writer and KurzweilAI editor Amara D. Angelica is an advisor to Singularity University. Stem cell research is back all over the news again with court rulings and counter rulings making the subject either okay, or not okay, for federal funding. It’s a crazy debate to my mind because stem cell research has the potential to improve the health of many, many people and it’s a philosophical crime for it to be held hostage to the mythology of theocons. And even if the research is held back in the United States by lack of government money, it will be going on around the world and just pushing the U.S. that much farther behind in the cutting edge of medical research. It’s a hot topic all the time, especially right now, but really what is the potential of stem cell research? Helpfully here’s news out of Elsevier Health Sciences with some expert opinion on the subject. What Progress Has Been Made, What Is Its Potential? New York, NY, September 9, 2010 – The use of stem cells for research and their possible application in the treatment of disease are hotly debated topics. In a special issue of Translational Research published this month an international group of medical experts presents an in-depth and balanced view of the rapidly evolving field of stem cell research and considers the potential of harnessing stem cells for therapy of human diseases including cardiovascular diseases, renal failure, neurologic disorders, gastrointestinal diseases, pulmonary diseases, neoplastic diseases, and type 1 diabetes mellitus. Through a series of authoritative articles authors highlight basic and clinical research using human embryonic and adult stem cells. Common themes include preclinical evidence supporting the potential therapeutic use of stem cells for acute and chronic diseases, the challenges in translating the preclinical work to clinical applications, as well as the results of several randomized clinical trials. Authors stress that considerable preclinical work is needed to test the potential of these approaches for translation to the clinical setting. In considering the potential for clinical applications, some common challenges and questions persist. The issue focuses on critical questions such as whether the use of any stem cell population will increase the risk of cancer in the recipient and whether the goal of stem cell therapy is to deliver cells that can function as organ-specific cells. Despite initial promising pilot studies, only small improvements in a few clinical outcomes have been seen using stem cell therapies to treat heart disease in the acute or chronic setting. But new research, and a multitude of new pilot studies, may alter this scenario. This review presents key aspects of cardiac gene therapy and stem cell therapy for the failing heart. Recent discoveries in stem cell biology may revitalize gene therapy and, vice versa. Rather than focusing on the cancer cell itself, attention to blood vessels feeding the cancerous cells, lined by endothelial cells, presents a new avenue of cancer therapy. The author discusses recent evidence that endothelial progenitor cells may be useful in treating primary and metastatic tumors. Targeted cancer gene therapy using endothelial lineage cells to target tumor sites and produce a therapeutic protein has proven feasible. The potential value as well as challenges of using human embryonic stem cells and induced pluripotent stem cells is to provide platforms for new cell-based therapies to treat malignant diseases are discussed. Early clinical work to develop cell-based therapy for neurologic disorders such as Parkinson’s disease is discussed. The authors cover the relative potential and success to date of embryonic or induced pluripotent stem cells as therapies for regenerating functional kidney tissue. The authors provide a thorough discussion of the potential of using either embryonic stem cells or induced pluripotent stem cells to generate functional islet cells, the cells of the pancreas which normally make insulin, but fail to do so in severe forms of diabetes. Both preclinical and early clinical trials have been carried out with allogeneic bone marrow-derived mesenchymal stem cells to treat steroid refractory acute and chronic inflammatory bowel diseases, particularly Crohn’s disease. Cell-based therapies with embryonic or adult stem cells have emerged as potential novel approaches for several devastating and otherwise incurable lung diseases, including emphysema, pulmonary fibrosis, pulmonary hypertension, and acute respiratory distress syndrome. The articles appear in Translational Research, The Journal of Laboratory and Clinical Medicine, Volume 156, Issue 3 (September 2010) entitled Stem Cells: Medical Promises and Challenges, published by Elsevier. The entire issue will be available online via Open Access for a 3-month period beginning September 20, 2010 at www.translationalres.com. That image is not easy to look at, but I think it’s important to remember what it meant for America and to protect this date from demagogues and politicization. This event brought international terrorism to U.S. soil in a manner that dwarfed all previous attempts, and in consequence it, at least for a while, united all citizens of America. The aftermath of what happened to U.S. polity and policy after 9/11 can be debated, but for a few weeks in September 2001, this was truly a nation united. Sure that Tuesday morning I was blindingly angry. I was woken in a vacation condo on the beach in Panama City Beach, Florida, to hear the World Trade Center towers were both struck by planes. When the media began reporting celebrations in Afghanistan I immediately thought of bin Laden (didn’t think of al Qaeda per se, but I was aware of bin Laden pre-9/11). My next thought was we should nuke that country back from its then (and now) Middle Age society to the Stone Age, or maybe to time before humans walked in Afghanistan. That was my heart. I feel no less strongly about Islamic terrorism today than I did at that moment. I do know I think the US did very well for itself before 9/11, and to me nothing occurred that warrants changing our fundamental approach to the world. The Great Recession, the near-depression, economic downturn — whatever you want to label the economy of the last years with, it all comes down to it’s not good, hasn’t really gotten appreciably better for Main Street and doesn’t really seem like tangible recovery is even visible on the horizon. So it’s another fall of keeping the chin up and tightening the belt a little bit more once again. The mixed picture is in line with government data released last month that showed U.S. gross domestic product, the broadest measure of economic activity, was much weaker in the second quarter than previously estimated. The nation’s GDP was revised sharply lower to an annual growth rate of 1.6% in the three months ending in June. The initial reading had been for a 2.4% growth rate in the period. In its Aug. 10 policy statement, the Fed announced plans last month to begin reinvesting proceeds from securities in its $2 trillion portfolio in to U.S. Treasurys. The central bank had bought billions worth of government debt two years ago to keep interest rates low on home and other consumer loans. But minuets from the August meeting subsequently showed that Fed officials were unusually divided over the policy. Now this is a tax break businesses of all sizes can get behind. White House Press Secretary Robert Gibbs said the president will announce a plan to offer businesses the chance to deduct 100 percent of the cost of qualifying capital equipment purchases made in 2011, double the amount allowed in the Emergency Economic Stabilization Act of 2008 (Pub. L. No. 110-343) and proposed for the small business bill (H.R. 5297) that is currently stalled in the Senate. “We’re saying that for 2011, we believe that 50 [percent] should go to 100 [percent]. It builds off of an effort to get capital off the sidelines and into the economy,” Gibbs told reporters. The president also is pushing to make the research and development tax credit a permanent feature of the tax code, rather than continue to ask Congress to pass it as a temporary extension every year. Making the R&D credit permanent and expanding it would cost about $100 billion over 10 years—a key reason Congress has not already done so—but Obama has argued that the change will benefit the economy by reducing business uncertainty about the credit’s future. It is welcome news that President Obama will ask Congress to expand and make the research and development (R&D) tax credit permanent. This will better enable the U.S. compete globally and make it clear that the United States has finally gotten off the sidelines in the fight for global economic competitiveness. While expanding the credit from 14 to 17, as has been reported, makes sense. ITIF thinks an even more generous credit makes even better sense. ITIF estimates that expanding the credit from 14 percent to 20 per¬cent would create 162,000 jobs in the short to moderate run and an additional, but unspecified, number of jobs in the longer run – many of them high-skill, high wage jobs. Can Obama pull off these fiscal moves this year? Opinions are a mixed bag, but the quick answer is probably not. Tax experts and economists offered mixed reviews about the feasibility of the Obama administration’s attempt to pass additional tax cuts now with the legislative year winding down, even as the president declined Sept. 3 to specify what proposals his administration will advance. On Aug. 30, the president announced that he will propose a series of targeted tax cuts and infrastructure investments in the coming days and weeks, some of which will be new. Via KurzweilAI.net — I blogged about one of the breakthroughs yesterday, and the university leader’s are going to announce the entire group next Monday. This summer, 80 students from 35 nations were challenged to apply innovations in exponentially advancing technologies to solve some of the world’s “grand challenges” with a focus on food, water, energy, upcycle, and space industries. On Monday, September 13, at 9:30am PT/12:30pm ET, in a webinar briefing, Singularity University co-founders Dr. Ray Kurzweil, Dr. Peter H. Diamandis, and faculty head Dr. Dan Barry will unveil for the first time multiple solutions in each problem space, each aiming to impact a billion people within ten years. A Q&A session will follow the briefing. The Briefing is open to media and the public, but space is limited. You can visit http://briefing.singularityu.org/ to register for the webinar briefing. Singularity University (SU) is an interdisciplinary university whose mission is to assemble, educate and inspire a cadre of leaders who strive to understand and facilitate the development of exponentially advancing technologies in order to address humanity’s grand challenges. With the support of a broad range of leaders in academia, business and government, SU hopes to stimulate groundbreaking, disruptive thinking and solutions aimed at solving some of the planet’s most pressing challenges. SU is based at the NASA Ames campus in Silicon Valley. For more information, go to www.singularityu.org and follow SU on Twitter and Facebook. This is a long overdue lawsuit. Unbeknownst to many United States citizens, if you leave the country with an electronic device — like a smartphone, cell phone, camera, or more likely, a laptop — your electronics can be seized, searched and contents archived by the Department of Homeland Security with no due process other than a field officer deciding you might be a threat to the nation. I’ve blogged about this very topic a couple of times — first back in June 2008 and again in September 2009 — and my sense of outrage at the privacy and civil liberties violation hasn’t abated. Sure we need to protect the nation and monitor who comes and goes into and out of the country, but with the due process that represents the best of America. In the post-9/11 world, policies like this are slowly turning the United States into a police state that would be unrecognizable to the Founding Fathers. Civil liberties groups sued the Department of Homeland Security on Tuesday, alleging that the government should not be able to search, copy or keep the data on electronic devices carried by people crossing the border without a reasonable suspicion of wrongdoing. DHS policy says that electronic devices such as laptops, cameras and cell phones can be searched as a matter of course, and that the border agents can copy the contents of the devices in order to continue searching them once the traveler has been allowed to enter the U.S. — even if the traveler is not suspected of any wrongdoing. Information obtained by the ACLU indicated that over 6,600 travelers — nearly half of whom are U.S. citizens — had their electronic devices searched at the border between Oct. 1, 2008 and June 2, 2010. Update 9/10/10 — In the meantime, here’s a CIO.com article on getting your data across the border while avoiding the invasive scrutiny of the DHS. The active ingredient of magic mushrooms, psilocybin, has been shown to reduce anxiety and improve mood in people with cancer. researchers from Harbor-UCLA Medical Center have found. 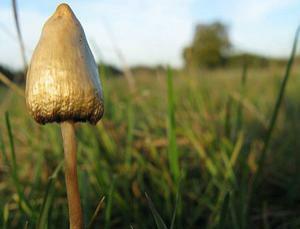 Volunteers reported feeling less depressed and anxious two weeks after receiving psilocybin. Six months later, the level of depression was significantly lower in all volunteers than it had been before the treatments began. … a lot of talk (a whole lot of talk) and no action.